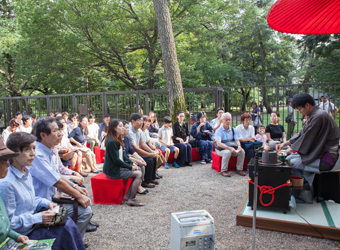 The Tokyo Grand Tea Ceremony 2019 is held on the dates below. October 19(Sat) and 20(Sun) at Hama-rikyu Gardens. The details of the event will be announced on this website at the end of July. 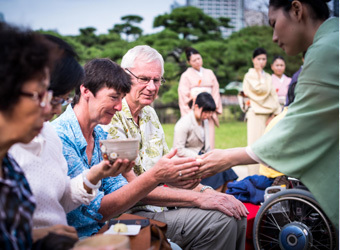 The video of Tokyo Grand Tea Ceremony 2018 is put on the movie. The photographs of Tokyo Grand Tea Ceremony 2018 is available on the gallery. 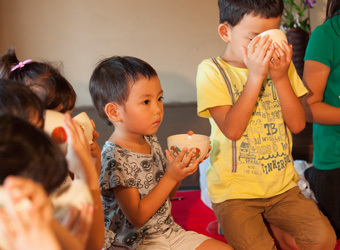 and a Tea Ceremony for Beginners in which you can have a go at preparing tea yourself. 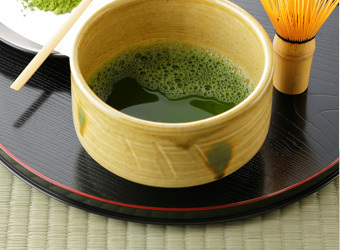 The Tokyo Grand Tea Ceremony was started in 2008 by the Tokyo Metropolitan Government and Arts Council Tokyo (Tokyo Metropolitan Foundation History and Culture) for the purpose of widely disseminating Japanese traditional culture at home and abroad, and passing down its fundamental spirit of harmony to future generations. So far this event has been held eleven times, and received about 210,000 visitors. 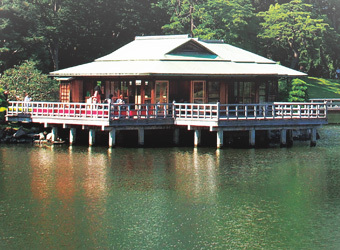 Nowadays this popular event is considered the signature event of fall in Tokyo by the locals.